If you have purchased this eBook, please log in with the user info that you created. "Grisha Stewart’s new book is an impressive piece of work, and I highly recommend it to trainers, behaviorists and dog owners who are ready to dive into the deep end to help their dog." 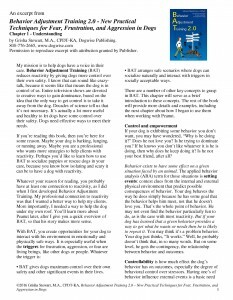 - Patricia McConnell, Ph.D.
My new BAT book for dog reactivity is now available! You can order the eBook right on this page for instant access and/or order a signed copy of the paperback edition below. 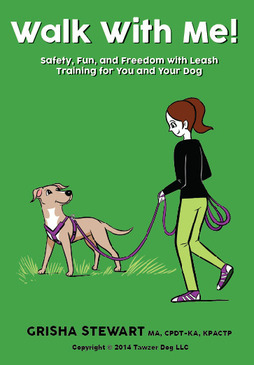 Any leashes that you order with the book will be shipped separately, as soon as they are made. Please visit my product store to order a signed copy of the print edition. Physical products have a separate checkout process from our digital products. Ships worldwide, with FREE US Shipping. Please use the buttons at the bottom to place your order. If you have a grishastewart.com login, please sign in first. You may need to refresh the page to see the download links. You will also have a link to this page on your My Account page (upper right when you are logged in). eBook Formats: You should be able to read the book on pretty much any device. You'll get access to all of these file types with your purchase. What is the BAT 2.0 Book About? It's an in-depth look into how to use Behavior Adjustment Training to manage and rehabilitate aggression, frustration, and fear. It's also a great way to socialize puppies. BAT 2.0 is a very different technique than the original BAT. Although it still has some elements in common, I have changed it to give more control to the dogs, while making the technique easier for people to understand and use. It's about 300 pages. For visual learners, there are lots of great Lili Chin drawings, including an 8-page color insert of illustrations. This is not a second edition of the first book, but rather, a whole new book. As you see by the chapter titles, it is based on some of the material in the first book and it should replace the first book in your library, but there's so much new information that it is officially a new book. Practically every line was rewritten in most chapters. Click to order a signed paperback in my store for physical products. Order the eBook below on this page. Please note: Thank you for purchasing your own copy, and for using my website! eBooks are for use on your devices only. It is illegal (and just mean to authors and publishers) to share or sell the files with others. Save on your ebook by getting a Building Blocks membership at the same time. Members get discounts here in the Campus Store, plus unlimited access to tons of video lessons. Grisha Stewart’s new book is an impressive piece of work, and I highly recommend it to trainers, behaviorists and dog owners who are ready to dive into the deep end to help their dog. Behavior Adjustment Training 2.0 (BAT 2.0) is a comprehensive and detailed approach to working with “fear, frustration, and aggression in dogs”. No matter what one’s field, I always am impressed by people who continually re-evaluate their perspectives and advice, and I love that BAT 2.0 resulted from Grisha sitting back and asking what worked about BAT 1.0, and what could be better. - Patricia McConnell, Ph.D., author of The Other End of the Leash, Feisty Fido, I'll Be Home Soon (separation anxiety), Feeling Outnumbered (multi dog households), and many other books. BAT 2.0 is a must-read for anyone who has or works with reactive dogs. For years, dogs all over the world have benefited from the successful philosophies and empowering techniques in BAT, but Grisha Stewart has taken it to the next level. A clear appreciation for the canine experience and easy to follow, practical techniques is what makes BAT 2.0 so beneficial for dogs that experience frustration, anxiety or fear in any social situation. Stewart gives control back to the dog allowing a delicate balance of freedom, the ability to make choices and safety. The results speak for themselves. Dogs that were once reactive now become more confident because Stewart gives them the life skills they need to cope more successfully in a social environment. I highly recommend BAT 2.0 to anyone who is struggling with a reactive dog or who wants to gain a better understanding of their canine companion. - Victoria Stilwell, star of the television show, "It's Me Or the Dog" and author of "It's Me or the Dog: How to Have the Perfect Pet," "Train Your Dog Positively," and "Fat Dog Slim"
I have enjoyed every chapter, every page and every line of the book. I think it is not only original, but breaking new ground in that it strikes a blow for ethical ways of training. I hope it will spread around the world. I love the pedagogical approach of this book and the focus on how to install a feeling of control in a dog’s life, all in all a fundamental recipe if you want your dog to feel safe and happy. It also adds an ability for dogs to predict events, which further strengthens its self-worth and being in control in relevant life situations. Keeping a distance to what triggers the dog and gradually come closer to it - another dog, a human or whatever the dog reacts to - is a training method with documented good results. What I especially like in BAT 2.0 is something which is often overlooked in dog training, and that is how to use naturally occurring reinforcers: A method based on the “Premack’s principle”, or the relativity theory of reinforcement. Grisha does a great job of explaining how to use this in dog training. The chapter "BAT for Puppy Socialization" earns special mention. It is simply excellent! In my opinion everyone who has a puppy, is getting a puppy, or is just interested in how to take care of puppies, should read and learn from this. In fact, it could be a separate book. The BAT 2.0 book is a star among training concepts and Grisha Stewart has such a nice way of making everything easy to understand. Add her sense of humor to the topic and you have a book that is hard to put down. When I ask behavior professionals, “What are your eyes for?” they enthusiastically reply, “To see!” But when I ask, “What is your behavior for?” conference rooms fall silent. In BAT 2, Stewart provides the essential answer to this all-important question: Behavior is to have an effect, that is, to be effective. By safely allowing dogs more control over their own outcomes, especially in challenging conditions where fearful, frustrated and aggressive behavior is most likely, caregivers will be more successful shaping independent, competent, confident companions. Grisha Stewart’s updated version of BAT is easy to understand with wonderful illustrations and pictures to help the reader visualize the process. One of the things I like most about this book is the attention paid to reading dogs for signs of stress in order to keep the dog as comfortable as possible during setups. BAT 2.0 shows that Grisha is continually evaluating and adjusting her behavior modification recipes. 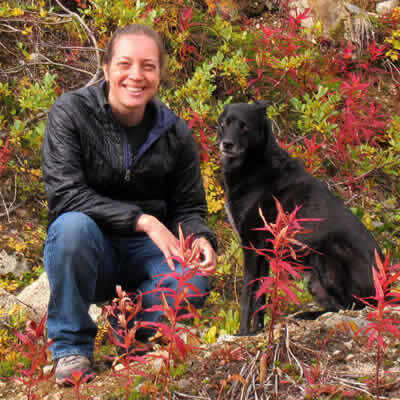 She has made great steps forward in her quest to help the emotional well-being of dogs. As a clicker trainer I highly value creativity. I love it every time a trainer uses the laws of learning in new and creative ways that results in better ways of dog training. What Grisha has done with BAT is just that. 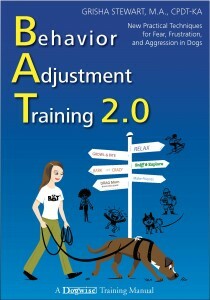 I find BAT to be a wonderful supplement to clicker training when working with pet dogs. The method combines operant and classical conditioning with a deep knowledge of the dog´s natural language and behavior. And even though BAT is grounded in hard science, Grisha has a way of explaining things so clear and simple that everybody can understand it – and do it. Behavior Adjustment Training 2.0 is unique--a living document detailing the evolution of a very effective intervention from the experience of many practitioners. I loved the practicality of this book, as well as Grisha Stewart's dedication to giving dogs a voice in their own development! This is must-reading for those working with dog reactivity in its many forms. The more I engage BAT 2.0 techniques with clients the more organic it becomes. And the 'aha' moments when they see how quickly their dog responds to the freedom of choice...can't thank you enough, Grisha. You've made a tremendous difference in opening minds to a new way of being with their canine companions. I just want to say I loved the first BAT book. I couldn't imagine how it could be made better. Finally diving into the new BAT book and just WOW Grisha Stewart-person...WOW! So clear, so well put together /written. BRAVO! So thankful it really is easier for the people and better for the dogs.